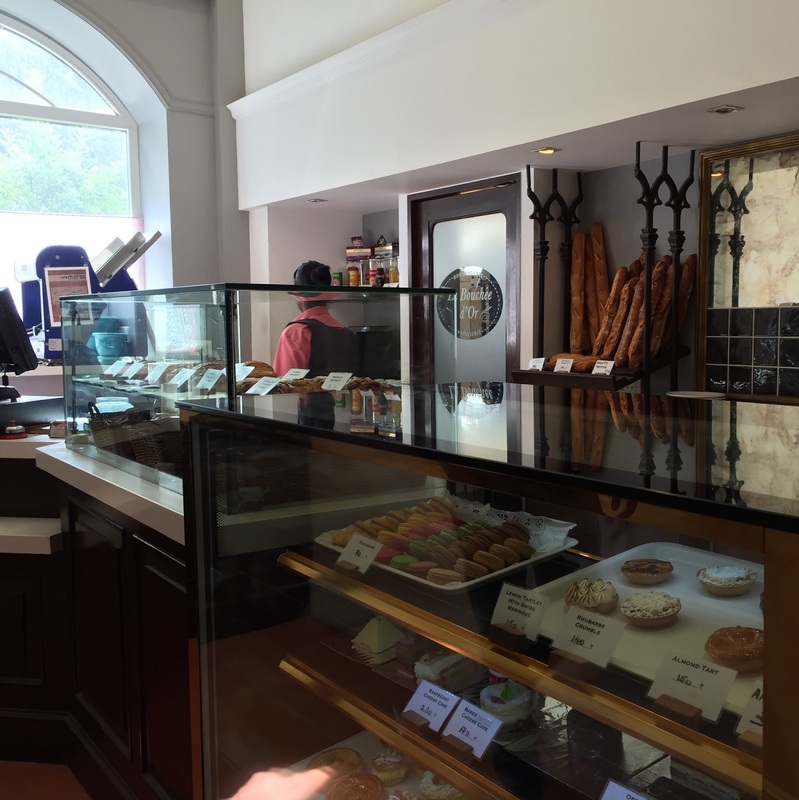 Today, German Bakery is open again, albeit in a new avatar. They have also taken over another restaurant on Law College Road. The German who started these restaurants and gave it their distinctive name no longer runs them. What continues is the easy-going vibe. 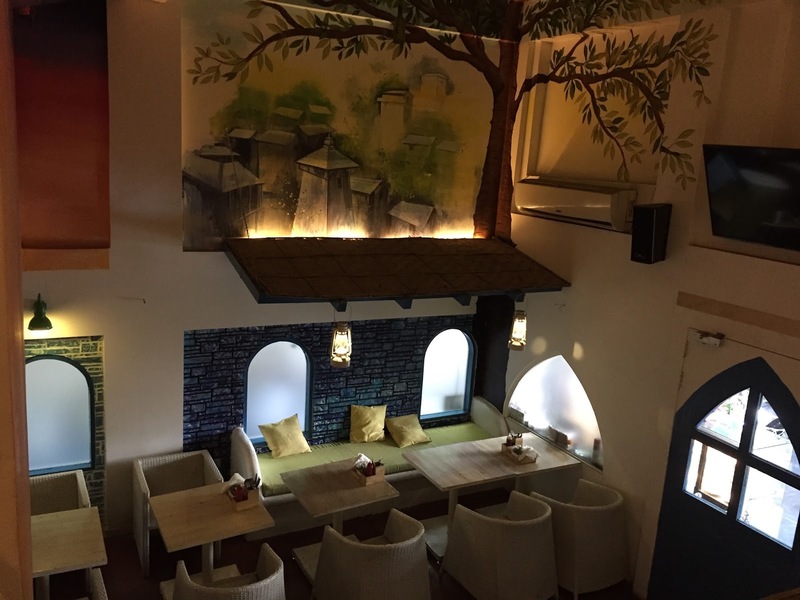 While the expats and tourists have moved to other newer cafes and bakeries that now dot Pune, these places continue to be a magnet for young students and local hipsters. German Bakery was opened in 1989 by Klaus Gutzeit who left Germany in the early 70s to follow the hippie trail to the subcontinent. 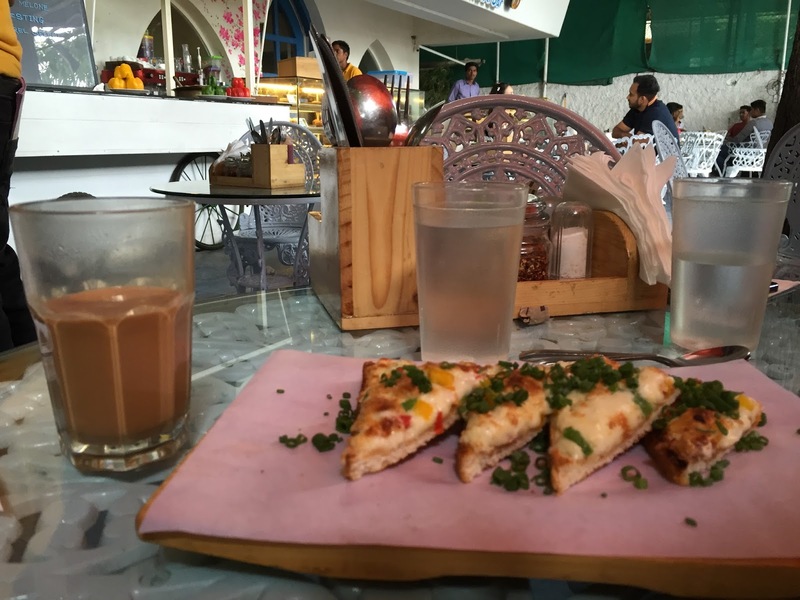 He arrived in Pune after living for several years in Nepal and Goa, where his breads, especially the German Pumpernickel, had became popular with travelling foreigners. As Pune began to grow crowded in the early 2000s, he sold out and went back to the Himalayas. I happened to find myself in the German Bakery on Law College Road recently. 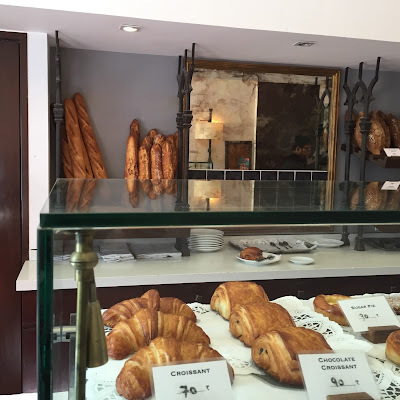 While there is not much German about the bakery - other than the few German words that adorn the counters - the atmosphere is chilled out and makes for an excellent place to work or just relax for a while. The food too is pretty good: breakfast items, sandwiches, pizzas and a sprinkling of snack items just right for the students that frequent this place. 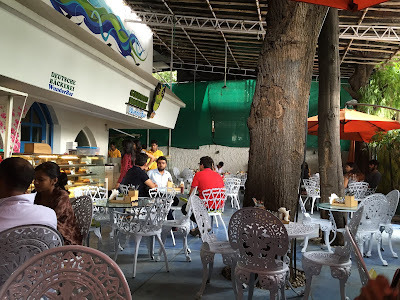 Overall, I think this German Bakery is even better than the original one, and nice to see something like this - a step up from the Vaishalis and Roopalis - coming up (finally) in this part of town! Fast forward to 2012. Another European baker moves into Pune and opens shop. This time a Frenchman. 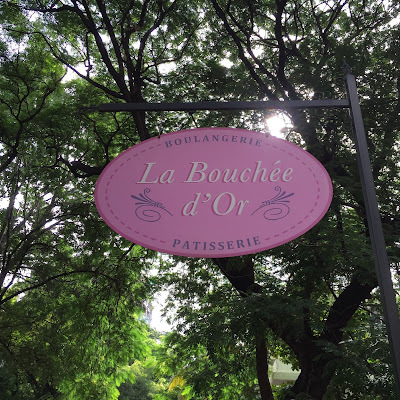 Brice Poisson’s La Bouchee D’or on Boat Club Road is probably among the best bakeries in Pune today. 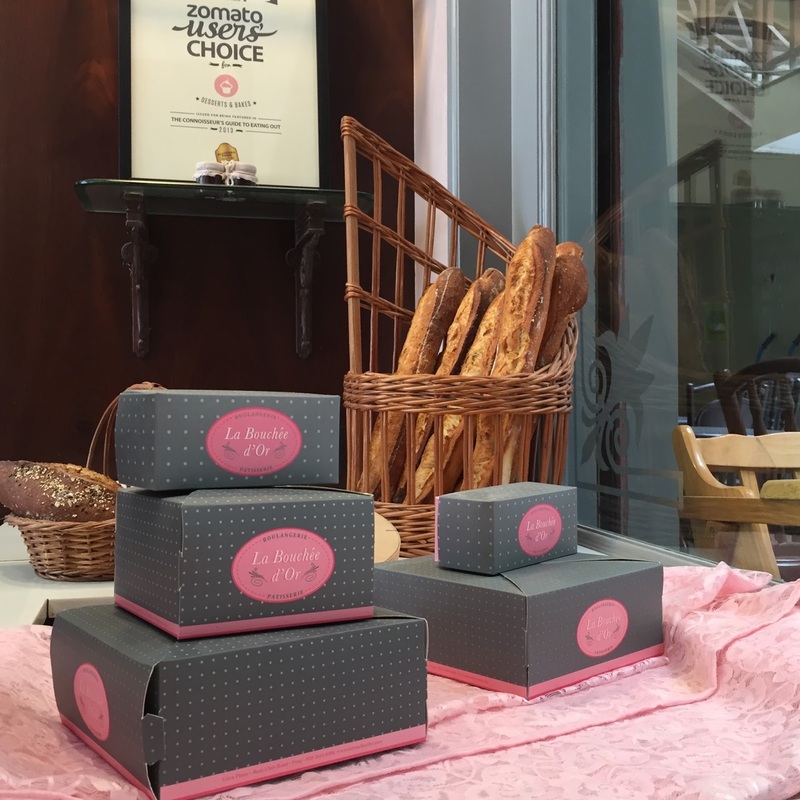 Unlike German Bakery, this isn’t just a lounging place for the expat community but one where you come for the excellent breads and pastries on offer. For those who are looking for authentic French baguettes and other high-quality breads, you need look no further. This is also heaven for those with a sweet-tooth. I am completely hooked onto the decadent, rich croissants he turns out every day: the almond-chocolate and the pistachio are my favourites. 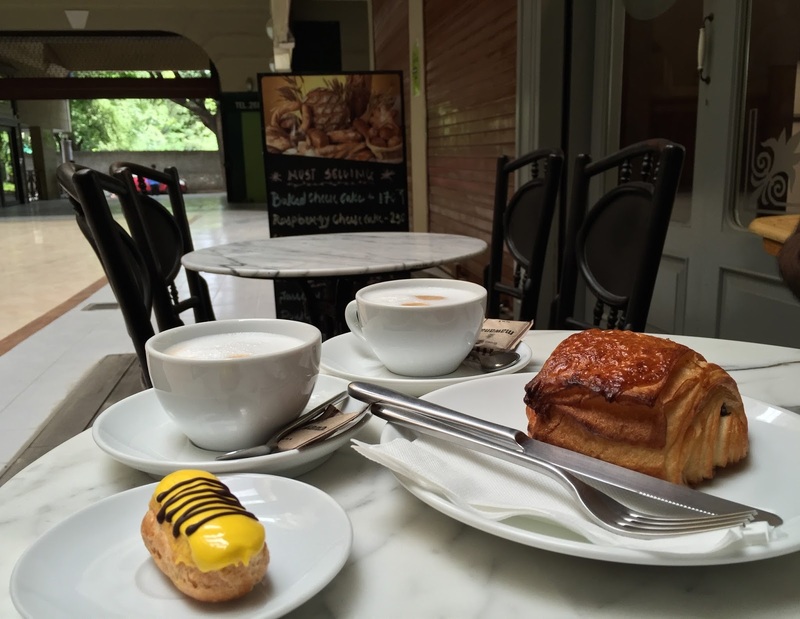 Tarts, eclairs (try the passion fruit), mille feuille, and much more - they are all memorable. We have come such a long way since I first moved into Pune. 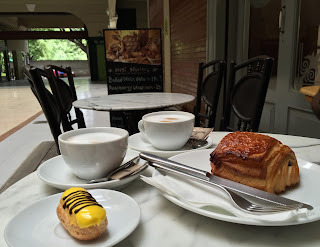 Coffee, breads and pastries those days were a pale imitation of the real thing. Now, you are spoilt for choice! 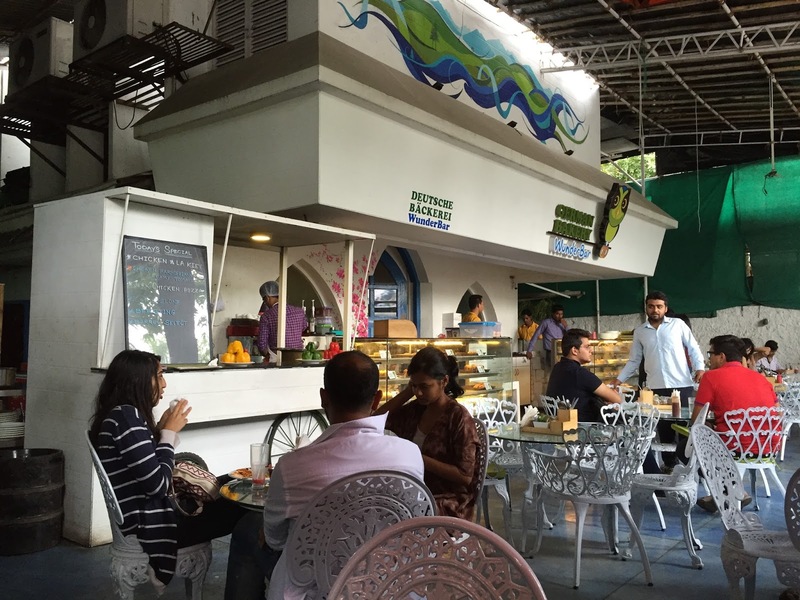 Expat and Indian bakers have upped their game so much even as the city’s tastebuds have evolved. Now I get my cupcakes from Forennte in Koregaon Park, muffins at London Muffin, multi-grain bread from The Flour Works and croissants and eclairs from La Bouchee D’Or. Doesn’t get much better than this! I will be there in my next visit to Pune. Smt.Kharose, owner of German Bakery stays in the same housing complex where I am staying. My name is Gayathry V Pillai and I am responsible for the content outreach program at CouponRani.com. I happened to view your blog while browsing for blogs related to travel and finds it very impressive.